Islamist Turkish PM Explains Reason Behind Domestic Protests: It’s The JOOOOOOOS! 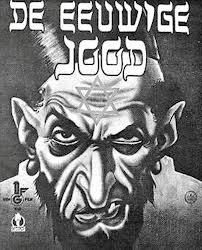 I must admit it never ceases to amaze me how powerful the Jew-haters of the world believe we Jews are. We run the media (but get lousy press), we run US foreign policy (which for this administration is anti-Israel), we run the banks and Hollywood, etc. If we run so much, why don’t I see any of the profit? shopping mall. The people saw the move as another step by the Islamist government to take away Turks’ freedoms. After a few days of protests, the goal moved way beyond the protection of that little part to a revolt against the Islamist government and the strict religious laws the Prime Minister was trying to shove down the throats of the Turkish people. Well that’s what we thought anyway. Now we are getting the REAL story from Turkey’s Deputy Prime Minister–the protests were part of that vast Jewish Conspiracy. Foreign powers and the Jewish diaspora have triggered the unrest in Turkey and worked effectively to boost it, Deputy Prime Minister Beşir Atalay said yesterday in the Central Anatolian province of Kırıkkale. Atalay also said the international media had a big role in “the conspiracy” and had led the unrest “well.” “The ones trying to block the way of Great Turkey will not succeed,” he said. “There are some circles that are jealous of Turkey’s growth. They are all uniting, on one side the Jewish diaspora. You saw the foreign media’s attitude during the Gezi Park incidents; they bought it and started broadcasting immediately, without doing an evaluation of the [case],” Atalay said. See what I mean? What power we have…without being near the country Joooos all across the world caused the Turkish uprising. The Turkish Jewish Community issued a press release today on their website regarding Atalay’s words, saying they were trying to get more information about the remarks with regard to the details, meaning and content. “However, we would like to express our concern that all Jews around the world, including Turkish Jews, may become the target because of this sort of generalization in almost every situation,” the statement read. Like the Rabbi Altmann in the joke above, sometimes it feels good to read that the Jews are all powerful-event though its not even remotely true. It only becomes frightening when one realizes that despite the hatred, our government is courting that openly express their Antisemitism, which means this administration either agrees with their feelings or simply doesn’t care–frightening either way.